See scan - perfect condition. This is a nice and rare Serbian / Yugoslavian WWII War Victory Commemorative medal with partisans surrounded by a wreath and standing on top of the map of Serbia / Yugoslavia made out of red enamel. 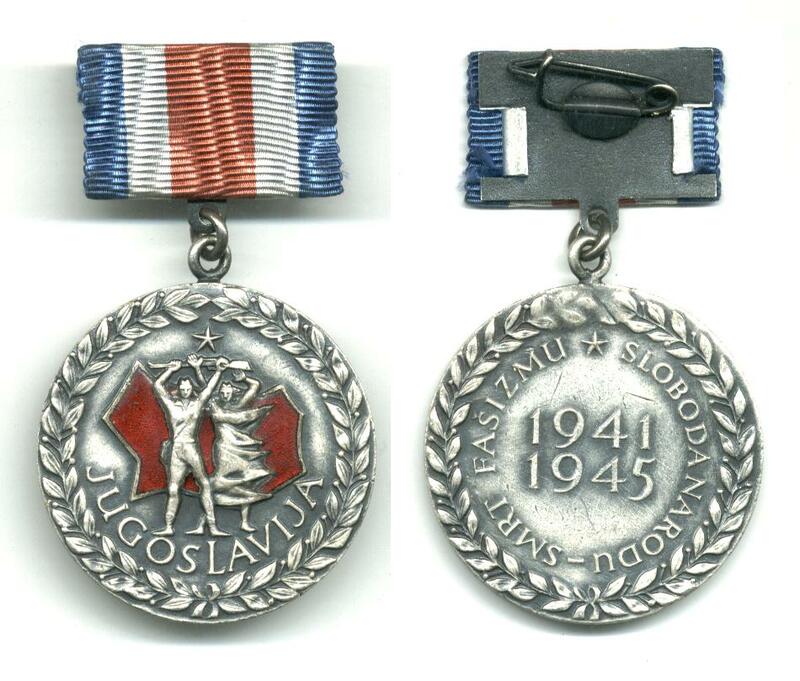 The medal is silver and is dated at reverse 1941-1945 with text - SMRT FASIZMU * SLOBODA NARODU meaning DEATH TO FASCISM * FREEDOM TO PEOPLE. This is considered to be a very rare and scarce Serbian WWII award and minted in a very low circulation. 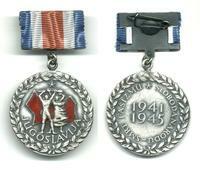 Nice military / militaria collector piece and one of the nice Serbian medals. WWII Italy Royal School Merit 4 medal set !